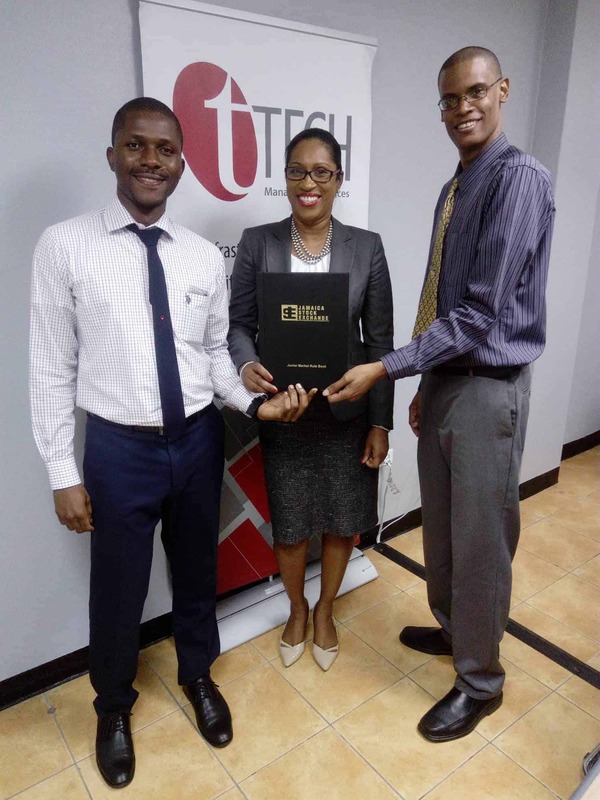 Market Surveillance and Compliance Officers, Mr. Reynard Whyte (left)and Mr. Richard Grizzle (right), are all smiles as they present a JSE Junior Market Rules Book to Ms. Gillian Murray (center), Marketing Officer of tTech Limited. 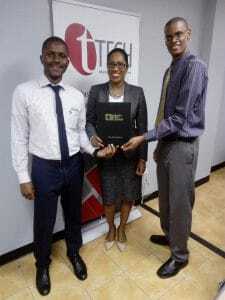 The occasion was an Orientation Session to sensitize Ms. Murray on the JSE Junior Market Rules. The session was held on Monday January 22, 2018 at tTech Limited.